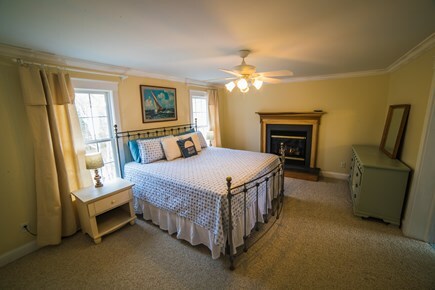 Master bedroom w/2 closets, dresser, fire place and master bath. 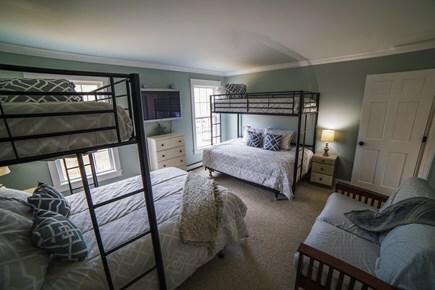 Two fulls and two lofted twin beds. Great space for kids! Bunk room w/4 twin beds, closet and dresser. Great for kids! Beautiful Lambert's Cove Beach near by. 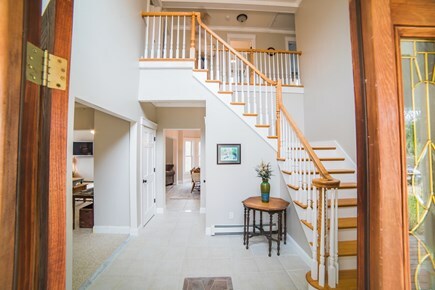 The first floor offers plenty of living space with the kitchen that opens to the family room and overlooks the large back yard, deck, and small basketball court. 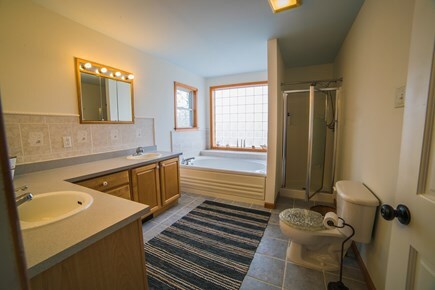 There is also a half bath off the kitchen that leads out to the outdoor shower on the back deck. 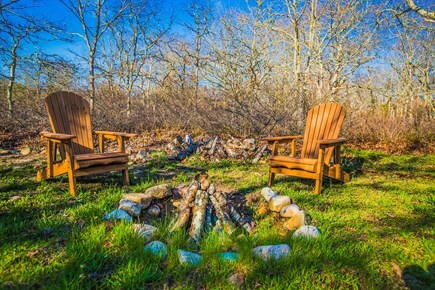 Other amenities include a dishwasher, washer/dryer, cable TV, Internet, BBQ grill, and a hot tub. 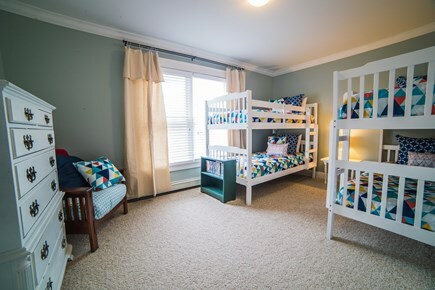 The home has 4 bedrooms upstairs: one with a king, one with a queen, one with 4 twin beds (bunks), and one with 2 twins and 2 fulls. 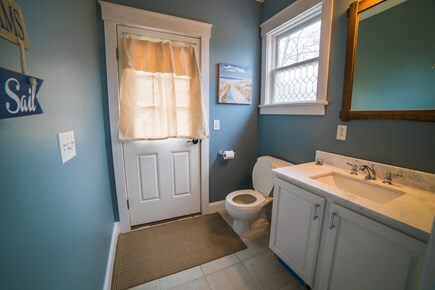 There are two full bathrooms upstairs, one in the master and one off the hallway. 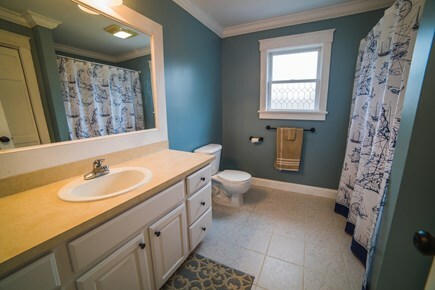 This home is situated in a safe and quiet neighborhood. 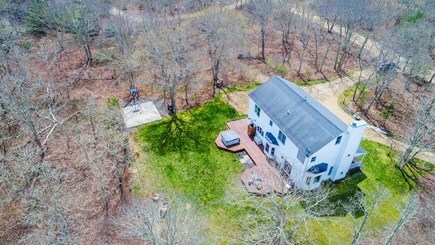 It offers privacy and the rural setting of West Tisbury yet is close enough to town for shopping and activities. Looking for some beach time? 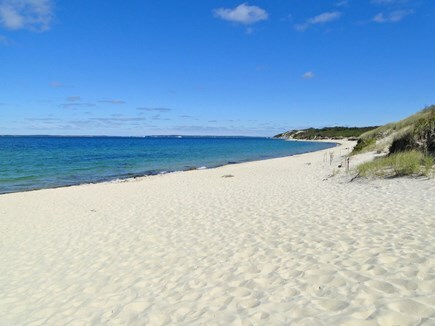 Lambert's Cove Beach is about 4 miles away and a walk-on beach pass is provided with your stay. The house is also less than half a mile from bike trails that lead all over the Island. There is no need to get in a car to access the trails. Just hop on your bike from the house, and you'll be on the trails in about five minutes without having to ride on a busy road. 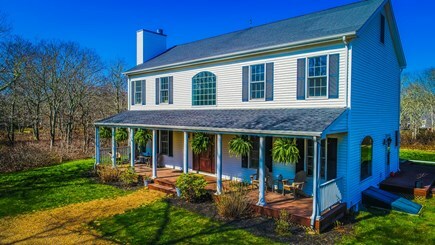 If you don't feel like leaving the house, you'll still find plenty of entertainment with the hot tub, small basketball court, and large yard for games and fun. We are pet friendly, so don't forget to include your four-legged friends in your vacation plans! Long-Term Rental (1 month or more): Possibly available from the end of September to the end of April (possibly middle of May). Price would be $3,000 a month plus utilities. Please contact us if interested in discussing this. 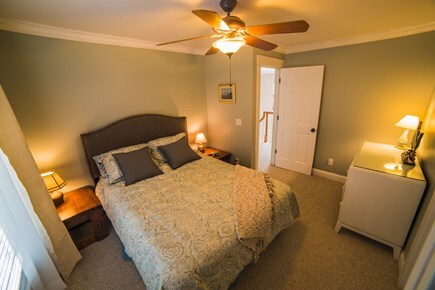 Additional pricing info: Cleaning fee: $400 in addition to nightly rate, State and local taxes of 5.7% will apply. 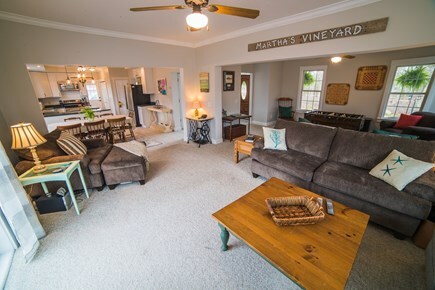 Martha's Vineyard is already a presidential destination, but this quaint and authentic home set in the luxurious inland of the island makes anyone feel like royalty. The outside looks like a secret garden getaway and the inside feels like paradise. 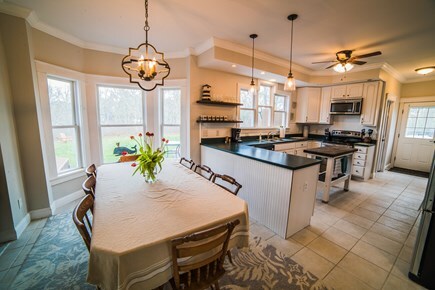 The kitchen is truly luminous and welcoming in spirit. You feel right at home as you cook those eggs over easy. The bedrooms are well kept and could truly sleep a queen. We truly enjoyed our stay at your home. For the short period you feel like a local engrossed in the life of the island.